crafting with katie: Monday Madness... Imagine That! We're starting a new segment on the My Creative Time website. The design team is now posting projects with Emma every Monday! 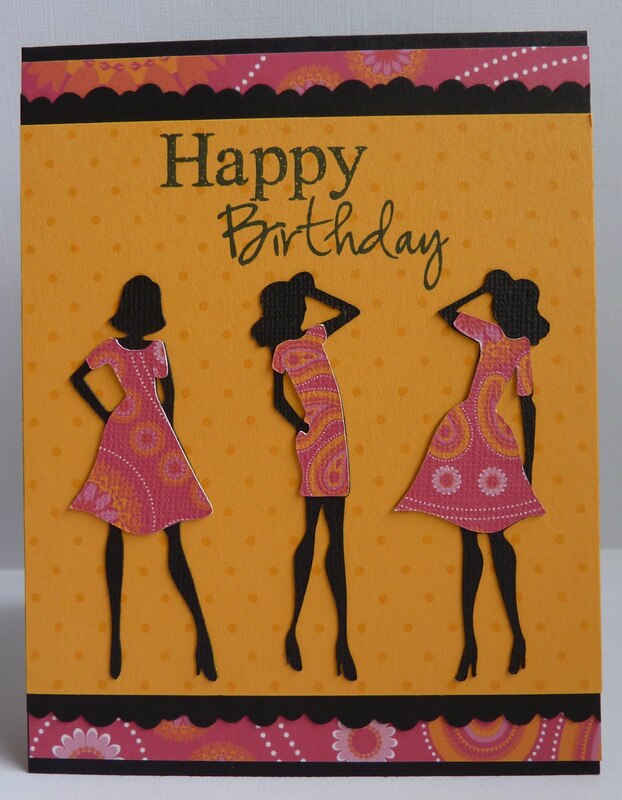 For this birthday card, I cut three different 3" girls from the Cricut Forever Young cartridge. For their dresses, I used cardstock printed with a pattern from the All Wrapped Up Imagine cartridge. I used this same pattern for one of the background layers. 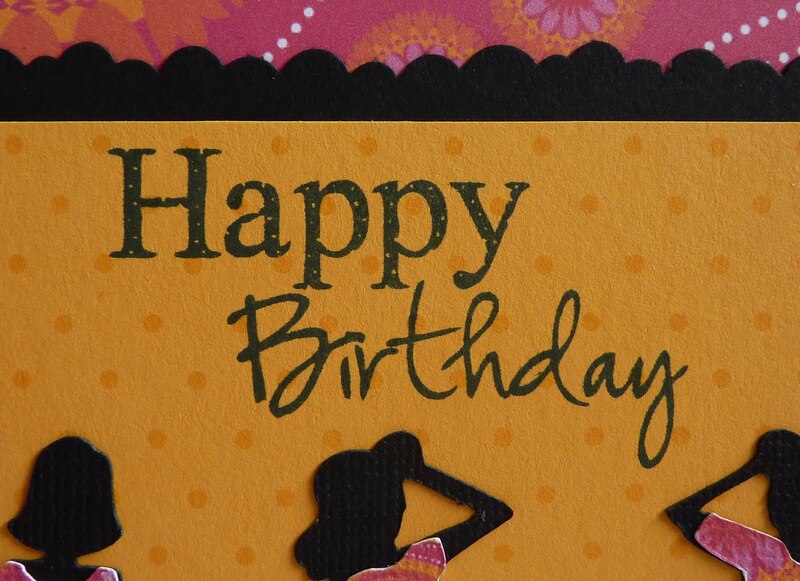 The sentiment is from My Creative Time's Polka Dot "SURPRISE" stamp set. Be sure to stop by My Creative Time to see what Emma and the rest of the design team has created for you today! Love this card Katie. The Ladies look FAB. Your girls look beautiful!!! I love...love the colors Katie!! Great job, i just bought the forever young cart and i am going to try some cuts when i get back from vacation!! Katie I love your card!!! Great job and thanks for sharing. So cute Katie! Any "hip" girl would love it!! !